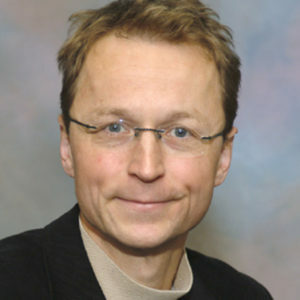 Lukas Novotny has been a Professor of Photonics at the Department of Information Technology and Electrical Engineering of ETH Zurich since 2012. He completed a diploma in electrical engineering at ETH Zurich in 1992 and went on to obtain a PhD (Dr. sc. techn.) from the same university in 1996. For his PhD thesis Light Propagation and Light Confinement in Near-field Optics, he collaborated with IBM Research Division in Ruschlikon. In his professional career, Lukas Novotny was a research fellow at the Pacific Northwest National Laboratory, Richland, WA, USA (1996-1999) before becoming an assistant and subsequently associate professor of optics at the University of Rochester in Rochester, NY, USA (1999-2007). In 2007 he was appointed professor of biomedical engineering (Department of Biomedical Engineering) at Rochester and, the same year, professor of optics and physics at the university’s Optics and Physics Department. Before joining ETH Zurich, he spent a sabbatical year at ICFO, the Institute de Cienciès Fotòniques in Barcelona, Spain and has since then been a Distinguished Invited Professor there.